On June 12, 2018, 25-year-old Shane Myers of Steele was arrested on an active probation and parole violation warrant (No Bond). Arresting Officer(s): Reno and Carter. 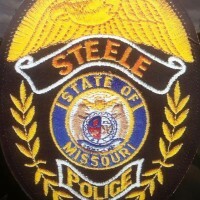 On June 7, 2018, Steele Police responded to the Dollar General Store in reference to a woman who had been assaulted by her boyfriend; upon arrival officers met with the victim of the alleged assault. A report was taken of the incident and officer Josh Carter filed the report with the City Prosecuting Attorney and a warrant was issued against the suspect charging the suspect with domestic assault. On June 7, 2018, 31-year-old Joshua Hyland of Kennett was arrested by Kennett P.D on an active Steele Municipal warrant charging him with stealing (bond $336.00). The arrest stems from an earlier incident when a cell phone was stolen at the High School during senior graduation; the incident was investigated by Chief Stanfield and a warrant was subsequently issued against Hyland. Joshua Hyland was released from custody after posting a $336.00 bond.